Like most artists, I’m constantly searching the internet for images that inspire me, content that might eventually inspire some aspect of an illustration; like the concept, composition, lighting, stylization, etc. I used to download these images onto my hard drive, but now I use Pinterest to store these images. As the number of different boards I’ve created has grown, it occurred to me that others might also find inspiration in some of the images that I’ve collected. With that in mind, I’ve decided to share some of these Pinterest boards in a series of “Inspiration” posts. This first one is about the Crossness Pumping Station. 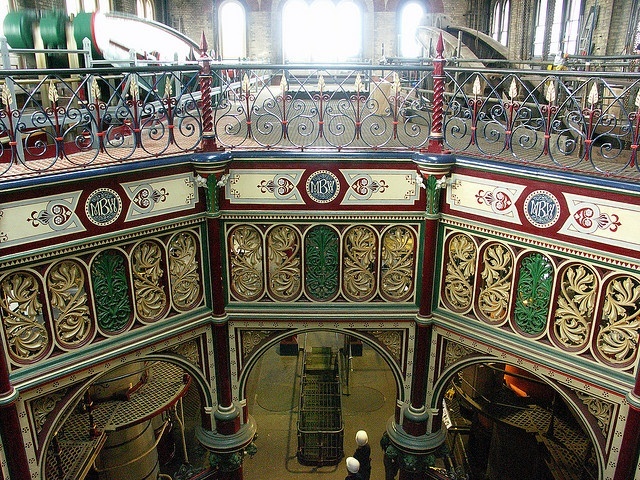 Constructed between 1859 and 1865 in southern London, it is a sewage pumping station and an amazing example of Victorian ironwork. Decommissioned in 1953, the Crossness Engines Trust was set up in 1987 to oversee the restoration of the building and pumping engines. In addition to some great examples of Victorian-era machinery, the station also features “spectacular ornamental cast ironwork”. Described as “a Victorian cathedral of ironwork” it’s not to difficult to imagine some of these machines or ornamentation finding their way into a period illustration…or perhaps a steampunk-themed piece. To view this and other images in my Pinterst board titled: Victorian Machinery.